Aria sheathed her blade on her hip before slipping out of the cottage she shared with her mother and three sisters. No men inhabited these woods. At least not for a fortnight. But beasts did. Best to be prepared. The men of Arsondower worked down in the valley between the mountainous hills. They were miners of sorts; only, instead of coal…they mined dragons. They were known as Dragon Keepers. Aria’s own father was there even now, carrying on the tradition passed down man to man to man. It sounded like a tale of old. How lovely and magical, you might think. But Dragon Keepers had only one aim. Dragon scales were worth their weight in it. And dragon eggs were worth even more. Aria knew the way to the small creek that cut through the dense woods by heart. She’d been there more than any other place in her life, carting her bucket. Sometimes she liked to pretend she was traveling far away, to another land. She loved her family, but being cooped up in a cottage wasn’t exactly the dauntless life she longed for. The women of Arsondower were kept safe in the mountains, tucked inside the shadows of the trees. They weren’t to venture down into the valley. It was dangerous. It was a man’s world. A time or two, when Aria was too young to know better, she’d asked her father why she couldn’t help with the dragons. Aria did, in fact, love helping with the butter. Mostly because she’d swipe the side of the churn with her finger while her mother wasn’t looking and pop the creamy glop in her mouth. But, the older she grew, the more curious she became. Not about butter. Curious about the dragons. So, one night, she snuck out of the cottage to follow her father and brother into the mines. What she saw there still haunted her. Fire-breathing beasts the size of redwood trees were chained to the ground with heavy, steel manacles. Their hides, usually known for their slick sheen, were dull and bleeding where the miners had stripped off their scales. Tortured despair hovered like a ghost in their eyes. Aria was petrified. And outraged. Her father had always taught her to be kind to the animals of the forest, to treat them with respect and reverence. Only to shoot with the intent to kill and consume. But there he was, hurting the creatures whose profiles were sewn into their town’s flags. She couldn’t make sense of it. She wanted to ask him why he’d do such a thing. But she never did. She’d snuck back up to her house, claiming to her worried mother that she’d gotten lost in the woods. Remembering this now, Aria looked over her shoulder as she knelt beside the cool stream, bucket in hand. Sometimes when the wind blew through the branches, she swore she could hear the tormented cries of the dragons kept chained in the mines below. Golden hair spilled forward as she leaned down to scoop up the water, her red cloak dragging on the ground. Ripples appeared suddenly on the water, followed by a great, undulating wind. The hood of Aria’s cloak blew back as her face pointed skyward. Seven winged grey animals, streaked with blue, landed on the bank across the creek from Aria. Hopping to her feet, knocking the bucket full of water over, she unsheathed her knife, holding it before her and wishing she’d thought to carry her bow. Once the wind created by the animals’ wings died down, Aria realized what they were. Peryton. Majestic creatures with the head, forelegs, and antlers of a stag. Their hindquarters, wings, and plumage were that of a bird. This wasn’t what caused Aria to unsheathe her knife, though. For, atop the creatures were figures dressed all in black. One of the figures slid off their peryton and stepped into the light, causing Aria’s knife hand to fractionally lower. Skin the color of the tree bark behind the woman brought out the intense green of her eyes. Her hair was pulled back in a tight braid down her back. Shining black armor darker than coal covered her slim frame. “Who are you?” Aria asked again, only this time in a voice of awe rather than anger. “Dragons,” Aria said in a whisper. “But the dragons are down in the mines in the valley. Why are you here?” She swept her hand over the water and gestured to the trees. Mouth opening and closing, Aria looked over her shoulder, down at the mines she couldn’t see. Remembering. Feelings from that night long ago crept across her skin, raising hairs. Aria was given armor and weapons and a peryton of her own. She left her clothes, red cloak, and bucket in a pile near the creek. Standing beside the water, she peered down at her blurry reflection and felt a fire ignite in her core. Oh. This was what she’d been missing. This. Riding the peryton felt like traveling on a cloud of air, soaring smoothly over the ripples of wind. The atmosphere grew warmer as they neared the mines in the valley. A squirming worm of nerves twisted in Aria’s gut. Turning just in time, Aria caught the black weapon tossed her way. It looked like glowing coals shaped into a sharp sword. The Nightingales swooped down unseen on the valley, leaping from their peryton, and moving stealthily into the mines. Aria clutched her sectar as she moved forward, into the dark holes of despair. Turning on her heel, Aria’s gaze landed on a young man about her age with hair the color of speckled sand. His sapphire eyes shown in the dim light of the mines. Tucking the sectar behind her, Aria flashed a bright smile. “I was just curious about the dragons,” she simpered. Suddenly shouts and roars sounded from behind Aria, coming from the other mines. The Nightingales had released the first dragons. The man looked wild-eyed at the scene in the center of the ring of mines where Dragon Keepers were now running. He turned back to Aria, his expression changing. “I’m a Nightingale,” she murmured, answering his earlier question. Lunging around him, she bolted towards the first dragon, slicing her sectar through one of the thick manacles holding the creature down. The dragon protested at first, then, seeing that one of its four legs were free, stood completely still, waiting for her to release the other three. The sandy-haired man ran at her, but she ducked under the dragon’s emaciated belly. The beast kicked out its free leg, connecting with the man’s torso as Aria ran the sectar through two more chains, sprinting for the fourth. “Aria!” a familiar voice shouted. Hand raised, weapon at the ready, she looked up. Her father stood in the mouth of the mine, gaping at her in horror. Men began to surround her, approaching slowly. She clutched her sectar tighter. And then she brought down the sectar, cutting the final tie. The dragon reared its head and thrashed its tail as the men tried to keep it from leaving the mine. It trampled over them as if they were nothing more than scurrying beetles. Aria ran like a spark, a streak of fire, burning through the mine. Sectar met metal, slicing through as easy her mother’s knife cutting freshly churned butter. One free, two free, three free. Go. The Dragon Keepers ran about the valley like ants whose home has just been invaded by a human foot. He retreated, coming closer to her. She knew she should probably be afraid, but she felt nothing more than awe at the beauty of this beast. The dragon lower his head and Aria saw that his snout had been tied shut as well. Guiding the tip of her sectar, she delicately cut through the thin chains. Opening his mouth widely, Aria could see inside, waves of heat at the back of his throat and the bubbling of flames. She took a step back, but the dragon closed his mouth and lowered his head again, indicating Aria should climb up. Men were closing in on the two of them, wielding swords and bows and angry faces. Aria climbed up, clutching onto the dragon’s neck as he turned, opening his mouth again. The Dragon Keepers who’d been charging towards them halted in their steps…and then ran like Hades in the opposite direction, trying to outrun the wave of flames rolling after them. The dragon let out another burst of fire and a growl that almost sounded like he was chuckling. And then he stepped forward, emerging into the clear air, spreading his leathery wings out, looking up at open sky. A puff of smoke furled out of the dragon’s nostrils and he ran forward, pumping his wings until they both lifted up. And then they turned towards the light of the moon, leaving the chains of the mines and forest behind. Both soaring towards an unmapped freedom. 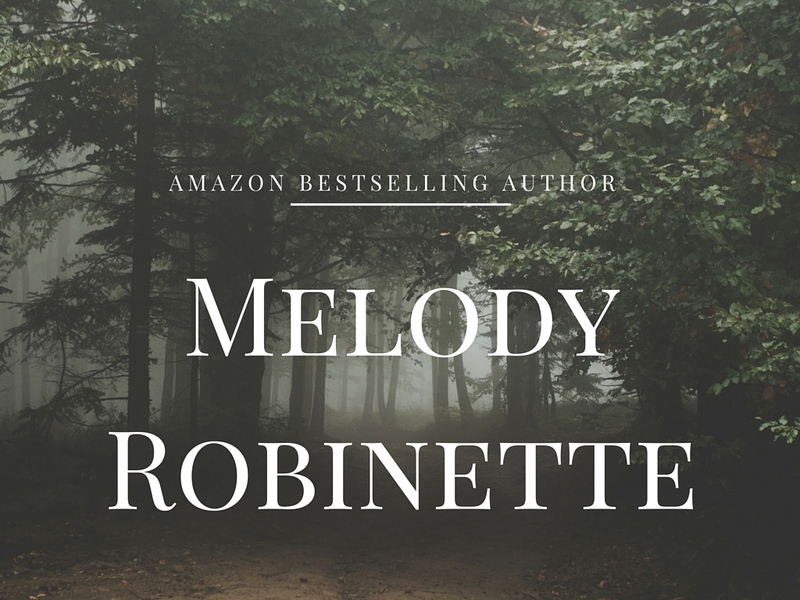 This entry was posted in Short Stories and tagged books, creative writing, dragons, fantasy, fiction, flash fiction, short story, writing on January 25, 2017 by Melody Robinette, Author.